Triumvir Foul, for those who don’t know, is the death metal project featuring members of Ash Borer. But while Ash Borer has met with a high level of critical success, Triumvir Foul largely has not, outside of death metal circles. Spiritual Bloodshed is the band’s second album and it’s another high quality death metal release in a year that has had a dearth of them. As the name implies, Triumvir Foul’s sound is, well, foul. Spiritual Bloodshed is murky, chaotic, and buried under a deep layer of filth. The basic blueprint is early Autopsy in terms of mixing slow, creeping sections with frantic blasts, but there’s a lot more to Spiritual Bloodshed than just another Autopsy clone. 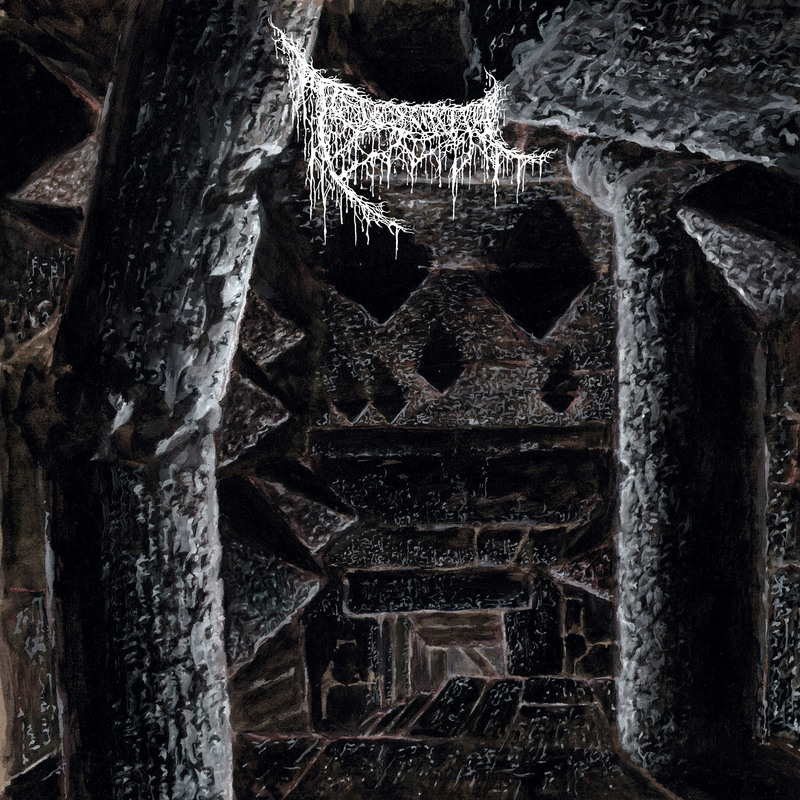 There’s an extra layer of swirling chaos that gives Triumvir Foul a debauched, off-the-rails feel that works very well. Just how good Spiritual Bloodshed is might not be apparent at first. The production buries the sound somewhat (even for this style of death metal), so Spiritual Bloodshed is the kind of album that requires multiple close listens to fully grasp the interplay, particularly between riffs. There are some deep, dark riffs buried on this album and they are in constant tension with production, struggling to break free. Vocals follow a similar pattern, being buried and unintelligible. Spiritual Bloodshed is definitely a grower, but it packs some powerful riffs; from the lurching mid-section of “Serpentine Seed” and the stomping main riff of the title track, to the mind melting, nightmarish opening of “Vrasubatlatian Rites” there are plenty of fiendishly delightful moments. But the album also has a lot of subtlety, particularly with regards to the solos. They’re almost drowned out by the riffs but contribute to that off-kilter, anxiety inducing feel I mentioned earlier. With Immolation, Father Befouled, Ascended Dead, Tomb Mold, and Undergang all putting out albums in 2017, it’s a good time to be a fan of dark, grimy death metal. Spiritual Bloodshed is another feather in death metal’s cap, and while I personally don’t feel it’s as good as some of the aforementioned releases, it’s still a very strong album with plenty to offer fans of death metal. It’s a step up from their debut, which was a nasty little album in its own right. If you’ve only heard the band member’s other main project, Ash Borer, check out the band that is many ways its polar opposite-chaotic, unrefined, and downright barbaric. This entry was posted in Death Metal, Featured Review, Reviews and tagged Ascended Dead, Ash Borer, Autopsy, Cavernous Death Metal, Death Metal, Father Befouled, Immolation, Incantation, Spiritual Bloodshed, Tomb Mold, Triumvir Foul, Vrasubatlat Records.